Social media is today the biggest platform for any business venture. 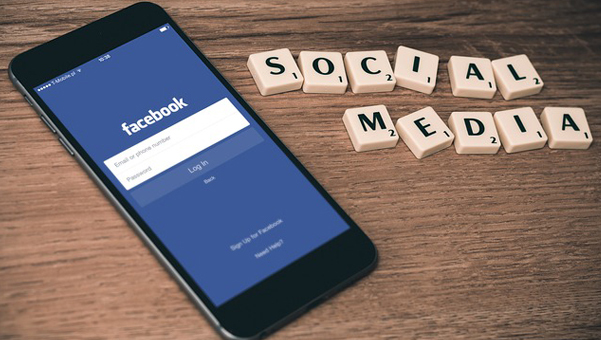 Whether you are a start-up or an established brand you need to be present on all social media platforms to leverage potential and keep your business growing. The Internet as a source of information and market opportunities is a humongous platform and as companies get into the game they establish a footprint in the market. 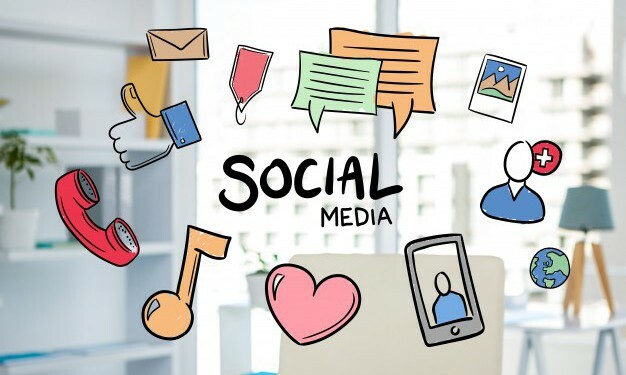 From Facebook to Twitter, LinkedIn to Fastpitch, Instagram to Pinterest to Tumblr, the list keeps growing and this necessitates that businesses stay tuned to make the best of the plethora of opportunities that the world of social media has thrown forth. Mark Zuckerberg, founder of Facebook had once said, “Nothing influences people more than a recommendation from a trusted friend. A trusted referral influences people more than the best broadcast message.” This becomes true when it comes to social media. All these channels are nothing but your biggest friends in electronic media that enhance the popularity of your products through online presence. Marketing executives that companies hire may or may not have impact on strangers and whatever impact is created will be limited geographically but social media has no such limitations. It is available 24×7 as your business partner transmitting your business and keeping it alive in the minds of the public. Perhaps the biggest thing that social media does is that it creates brand awareness even when you start from zero. Your potential customers by clicking on your page will gather knowledge on the products that you display. It builds a perception about your company. Carefully constructed audio-visuals and messaging on your viral marketing sites will pay rich dividends. It is important that the messages need to be consistent with the kind of brand image that you want to promote. It is also important to focus on following like-minded companies to help create synergies between your products and services. Furthermore, always take a feedback from your customer on your products. You could initiate a conversation with them. Engaging your company with customers online will further increase chances of garnering business opportunities and build your brand among the public. Generally, people would retain or share information which is of use for them in their daily life and getting the pulse of your customer and bring forth such brands will obviously create rooms for accommodating your business within their mindsets. Additionally, it is important that besides keeping your customer engaged the officials of your company act professionally and operate within boundaries that they are supposed to do. You shouldn’t indulge in abusive language when a customer doesn’t buy your product or gives a negative comment about it in the company’s social media page. Whenever a customer chooses to buy a product from a company the first thing that he or she would do is to read the business’ social media page. Reviews play an important role in this. Many customers will try out your product because their close friend or relative or colleagues have liked your product, used them and posted positive feedback on it. So having a large social media following is very critical to keep your business running. Positive reviews matter a lot. Perhaps you could do this by posting an interview of one of your customers that have used your product because it will be they who will be speaking rather than you mouthing about your company. In this way, you could avoid beating your own drum. However, as in every business, social media also has its pitfalls. There are cases when a customer or anyone from the public may post some seriously negative comments creating an adverse impact on your business. The best way to get back into the rating is by getting your customers happy with your services to post positive feedback which can overshadow the negative effects. Whatever be the case it is true that today social media plays a prominent role in shaping business and the onus is on companies on how to make best use of the opportunities brought forth by these channels and establish their presence across the globe successfully. We are witnessing the fourth industrial revolution (Industry 4.0) unfolding before us. 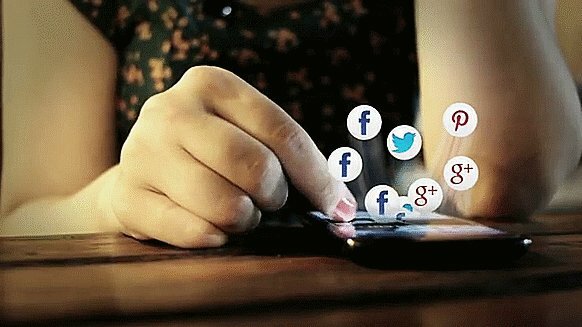 Just as you have information about your product on your fingertips, customers also have information on their hands. They are connected through a net and they can access data and information anytime and anywhere they want. The digital world is the first place where you get in touch with your potential customer for marketing your products. Knowledge on this alone won’t suffice. We are in 2017 and it is the age of cut-throat competition. Your products may perhaps be the best but to be the first is a daunting task and for this, it is essential to get the basics correct first. The foundation is laid with your website. Customers first visit websites to check out what you have to offer, to see the descriptions, check if any offers or discounts are there and the shipping rates if they happen to be placed in a far flung region, and so on. For this, the homepage needs to be simple yet attractive. Information must be visible without having too much to scroll. This is important since many customers wouldn’t be patient to see what is down below. Establishing communication is another factor in having a successful business outcome. Can your customer, if you are a service related business, see a click to call icon above the fold, i.e. without scrolling, and can he by clicking that call you up directly instead of having a service provider do the job. These are certain tips to be kept in mind while constructing a website in the year 2017. Also, it is the age of smart phones and everything is made available instantly through phones carried in pockets. Search Engine Google had last year stated that it is giving importance to mobiles first and then only desktops and laptops. 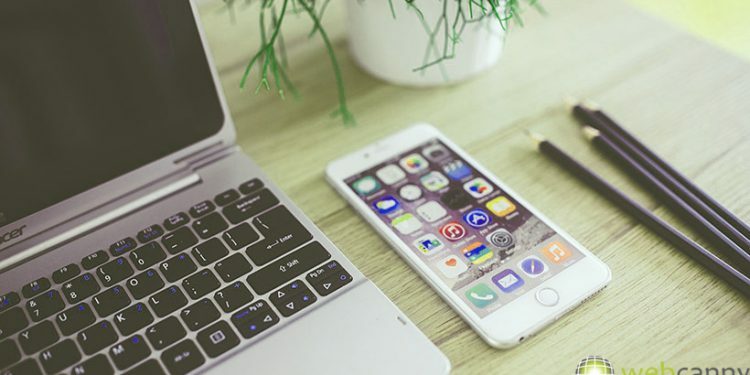 Since around 60 per cent of the searches are now carried out on phones it is imperative that you have a mobile friendly website. You need to keep this factor in control else fix it as soon as possible to stay competitive in 2017. Google is by default the place where anyone would search for information. This huge search engine has created the most measurable forms of marketing and advertising in history. 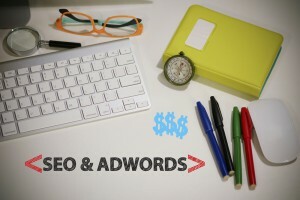 Google Ad words enable you to reach out to millions in one shot. You can sell your goods or services to the entire world. Splitting your campaigns and Ad words will be a good idea. The campaign usually must be a base word. For example, you can keep your campaign as “manufacturing” and the ad groups within that key terms can have variations such as “electronics manufacturing”, “plastic manufacturing”, and so on. Your work will become more organized, creative and you will end up viewing the performance of different terms and create extremely specific ads for your target customers. Ad words and search engine optimization (SEO) are closely related than ever before in 2017. Google’s Quality Score is a witness to that. Google looks at the content on your website which is the same content contributing to your organic ranking. It looks at that and the Ad words and how much they are related. If yes then your rankings improve. A good Quality Score can place your company above your nearest competitor. Quality Scores and SEO are directly interrelated along with the organic ranking and the more time you spend in enriching your content in those directions the better your ranking will become with Google gradually placing it above your peers. Are you on Facebook? It is an often asked term. Facebook has more than 800 million active users and 200 million logs on to the medium on a daily basis. Your Facebook page is the extension of your website and it needs to surpass your website in terms of your interaction with the customers. You can spend some time daily on browsing through web pages that have used Facebook to the optimum and reproduce their formula on yours as well. Facebook will help you create fan pages and for this, you need to frequently post new content such as videos, short messages, audio visuals, replying promptly to comments from viewers, get them to press the like button, and in the process develop a one-to-one relationship with your client. Develop an interactive page and get a lively community of people to discuss your business among them. Cash on to the opportunity brought forth by the digital world and achieve extraordinary results. Unleashing the incredible power of video marketing even if you are a newbie can pay rich dividends. You may fail to convey about your product but a well-crafted video will do the job for you working 24×7. Video marketing has gained more prominence as we navigate through the fourth industrial revolution. It is the best tool to communicate your ideas and your message and in the process earn for you dollars. Best is to keep things as simple as they can be. The key is to be well-versed with your objective before you start making your video. Why to publish a video? – This is the first question that you need to ask yourself before posting it online. Is there a requirement? The video should connect with your viewers. Often customers search online for finding solutions to their problems. It could be anything, may be buying a product, or getting rid of something which bothers them, and so can you give a solution to their suffering. If yes, then they will watch your video for tackling their ailments. The plus point with putting up videos is that you don’t take the pain to explain again and again. Videos will build your brand. 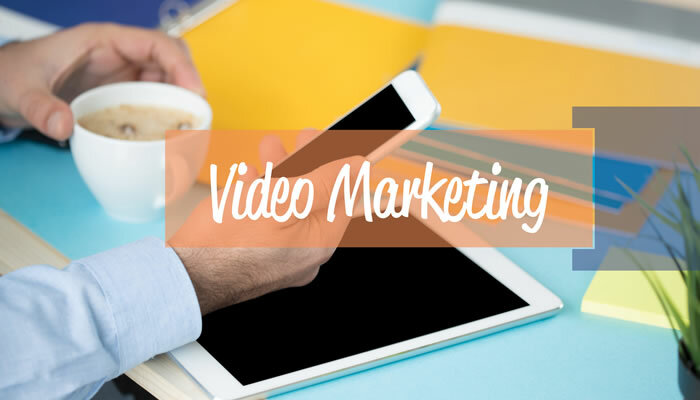 When you are new in the market you can use videos to reach out to potential customers telling them about your company and your products. Once they like it then they will share the video through social media platforms such as Twitter, Facebook or WhatsApp and in the way not only bring traffic to your website but also boost your sales. You do publishing and if your video is liked then public will take care of the rest. Make your video interactive – Interactive videos attract maximum people. Comments from your audience matters. It improves your SEO. Respond to the comments, tweets, raise questions and allow your viewers to answer them in the comments section. Watching your video – The job is not done just by uploading the video on YouTube. You need to keep a tab on how much of your video is watched. It is important to know where your customer switches to another channel. Keeping your customer engaged is an arduous task. To overcome this challenge it is advisable to keep your video short. No one has the time to watch an entire movie. Research has shown that videos that last around 5 minutes are the ones watched most. Searching your video – Content is as important as visuals. A well written content will give your video meaning. People visit content and read a bit and then click on the video. Search engines cannot locate your video and if you want it to appear on search engines then content is a must. 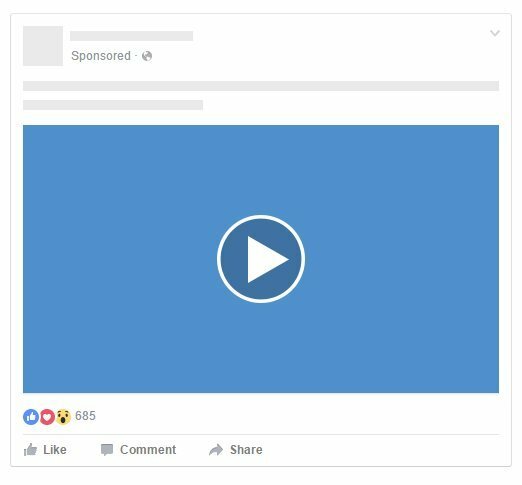 Keep an attractive headline and a punchline pulling your viewer to watch out the video for more action, introduce those like buttons – “Facebook, Tweet”, etc. which promote your video. Read About: 9 Content Marketing Ideas For Success! Notification of video – It is a good thing to notify your subscribers about your video. But when you upload too many videos and each time your subscriber gets notification then you are spamming him. He may discontinue watching your videos. To avoid this when uploading your video make it private and then when it is uploaded uncheck “notify subscribers” in advanced settings and then make the video public. This will ensure that you reach viewers and keep your subscriber base intact as well. Further actions – You have succeeded in drawing their interest and now you want to retain them further. It is a challenge. This can be overcome by including links below the videos to direct your customer to find out solutions. For example, if video is about your production process then you can have a page which directs them to information about your other products. Or links such as get the exact product here or talk to an expert here will also serve well. The idea is to keep the visitor engaged on your page. Hiring professionals – You may be taking all these steps and yet not finding success. 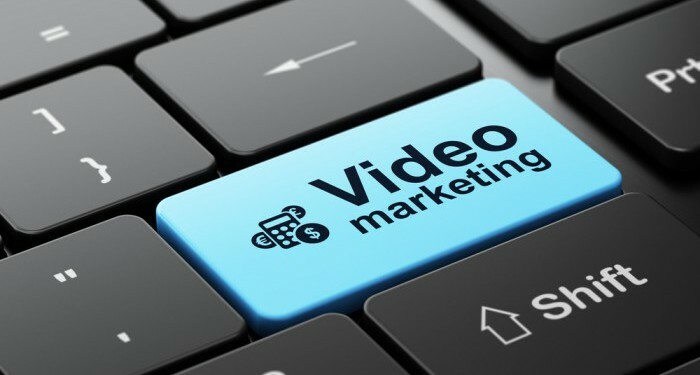 If you are not experienced then it is difficult to find the right video marketing strategy. Video production or marketing professionals can do that for you. May be time to hire them. Why Client Needs a Website Redesign? What he can expect from it? As the financial year begins it is time to look forward to give shape to the novel ideas that will take your business onto a new plane. The quest for success begins with the initiation of the redesign process of your website, your interface with customers. Why Website Redesign is Important? 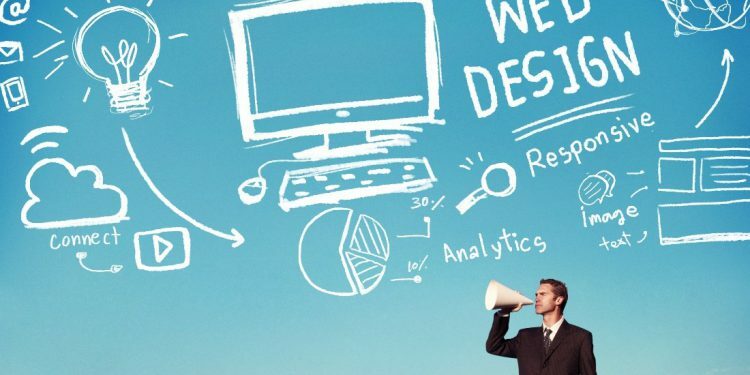 Businesses are realizing the potential of website redesign. It builds your future. Brands which sell across the globe sell most of their products if not their whole business on the online platform. As customers become more tech savvy, online shopping is gaining in popularity. Remember, many of your customers aren’t patient enough to wait for long and it is crucial that all links function properly. We are living in the age of fourth industrial revolution (Industry 4.0) and technology is changing at a rapid pace. 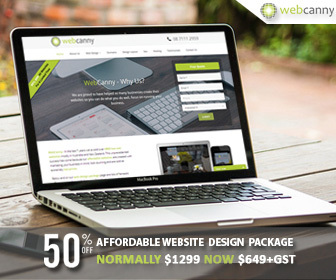 In this fast moving digital world your website design and layout could become shop-worn even more quickly. Non-standard coding practices can hurt your search engine optimisation real time. A nice looking easy to use responsive website will bring more customers for you. Many browse online to check your company’s profile and online presence. They also check what your competitor offers before taking a call. The first impression is always the last impression and in this your website is your salesperson working 24x7. This is a million dollar question that we often ask. 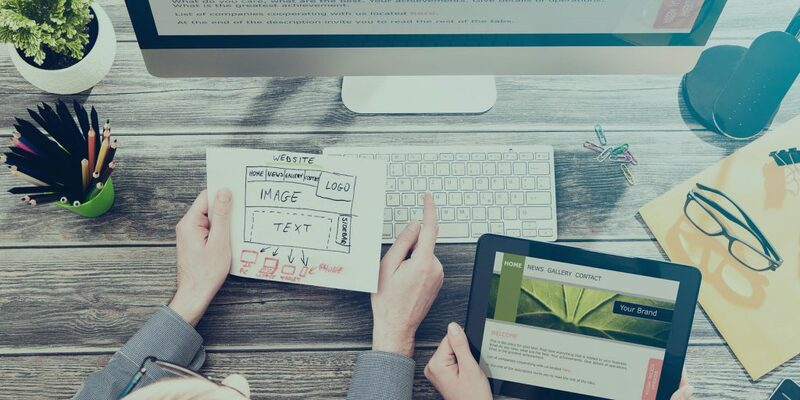 Although there are no hard and fast rules on a time frame to redesign and redevelop your website, however, industry experts say that website must be redesigned in around 3 - 5 years. If you are in an industry that is likely to experience fast changes in products, services and technologies then you need to do it more often than not. So you have decided to do away with the redundancy and realized it is time to add those new features, functions, pages, gadgets and widgets to your website to tap business opportunities and stay alive in the market, all in the allocated budget. The most important thing to be considered is that your website is not about you and that it about your clients and their needs. Visitors come to your site for getting what they need. Can you provide solutions or eliminate their problems, this is what they want and why they come to you. What is in it for me is what customers see. Website purpose is to make money and lead a conversation with people, establish a connection, guide them through the buying process until the product is sold. So you need to publish information that is correct, in simple English and with no grammar mistakes. Busy customers wouldn’t have the time to browse through a poorly loading site. They will switch to other options and plenty are available. So never shrink away from investing in extra money to build up a site that would attract visitors and give you your business. 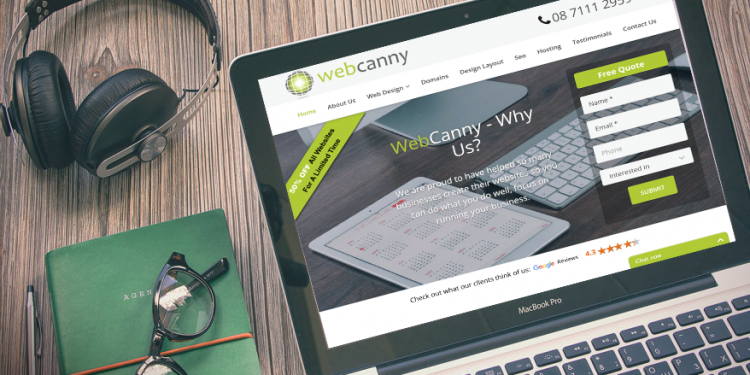 A well-executed website redesign can do wonders for your business. It can put your company on the global map. It is however to be kept in mind that website redesigning is a cumbersome process and would take away considerable time, energy and money from your schedules. Check Out here Our Cheap Website Design and SEO Services around Australia.